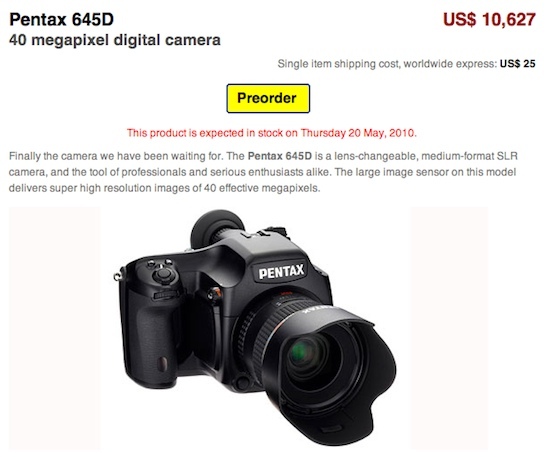 Pentax 645D can now be pre-ordered for international shipping through the third party reseller JapanTrendShop.com. Officially, the 645D will only be available in Japan. Some reports indicated a possible release in Poland.